Emilio Valle is accused of leading a pursuit throughout Miami-Dade County that ended on the Dolphin Expressway. NBC 6's Claudia DoCampo reports. Officers say the driver later ended up near the westbound intersection of the Dolphin Expressway and Northwest 87th Avenue. A man is in custody after he led police on a Monday morning chase in Northwest Miami-Dade, with one officer suffering minor injuries as a result. 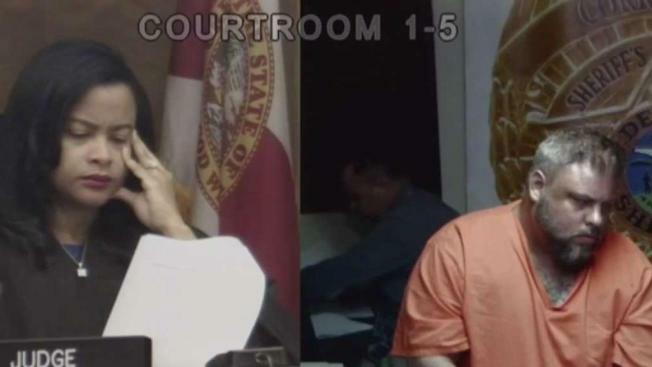 Sweetwater Police confirmed that officers attempted to stop the driver of a blue pickup truck in the city when he fled the area and went onto the Dolphin Expressway. Officers say the driver later ended up near the westbound intersection of the expressway and Northwest 87th Avenue and hit the officer before being stopped and taken into custody. No details were released regarding the suspect’s name. Sweetwater Police did not release the officer's name or condition, but said he would be okay. 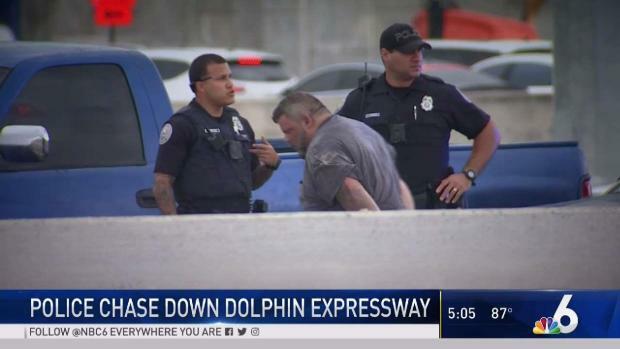 A man was taken into custody after a police chase ended on the Dolphin Expressway in Miami-Dade.